The more tenants you have, the more likely you are to have to deal with noise complaints. One way to address this issue is to have a quiet hours policy in place. Learn the basics of this policy as well, as the benefits and view a sample of how to include this policy as a clause in your lease. A rental property is a community. It could be a single family unit in a larger neighborhood or a multifamily complex with many residents. The individuals who live in this community need to be respectful of one another. Part of being respectful involves allowing the other residents and neighbors to enjoy their homes in peace and quiet. Quiet hours exist so that each tenant in the building can enjoy their apartment free of disturbances. Tenants do not want to constantly hear their neighbor’s loud music, loud parties, barking dogs or screaming matches. Having rules for quiet hours as part of the lease will help tenants understand what is expected of them. If they do not follow the quiet hours rules, they can be reported for breaching the lease agreement. A landlord will enact a quiet hours policy to try and keep their tenants happy and the property free of conflict. Not only will other tenants or neighbors complain to the landlord, but if a tenant in the building is disturbing surrounding neighbors, the police can be called, and a landlord does not want to deal with this headache. If a tenant is constantly being disturbed by a neighbor, that tenant will be unhappy and unhappy tenants are more likely to move. A landlord wants to prevent apartment turnover, so keeping their tenants happy is a main priority. By including a quiet enjoyment clause in the lease agreement, you are showing the tenant that you are serious about keeping your property peaceful and quiet. Quiet hours are set times, usually during the morning and night, when tenants must be particularly respectful. This policy prohibits unnecessary or excessive noise. Noise is considered unreasonable if it is above a certain decibel level. Most cities and municipalities have a quiet hours policy in effect. Therefore, you must look up the laws of your city or town to determine the exact regulations in your area. You can then make this clause part of your lease agreement. 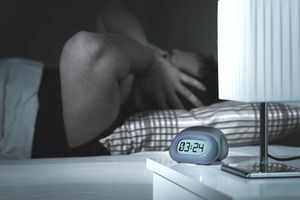 There is to be no loud music, blasting televisions or other disturbances that could bother other tenants who may be trying to sleep. Your town code should have specific times when quiet hours are to be in effect. These hours may differ on weekdays and on weekends. For example, on weekdays, quiet hours could be from 10 p.m. to 7 a.m. but on weekends, quiet hours could be from 10 p.m. to 9 a.m. If your town does not have specific quiet hours, then you can enact specific quiet hours for your property. They must be reasonable. For example, 10 p.m. until 7 or 8 a.m. is usually a reasonable range. Only Quiet During Quiet Hours? No. Tenants do not only have to be quiet during quiet hours. The property is for quiet enjoyment of all residents. Tenants should be respectful of their neighbors. Tenants should be able to enjoy their own unit, but should not do so in a way that disturbs the quiet enjoyment of others in the building. Excessive noise at any hour of the day, especially if it is prolonged will not be tolerated. Who Must Follow Quiet Hours Policy? The quiet hours policy applies to all tenants of the property, as well as to any of the tenants’ guests. This requirement should be spelled out in the lease clause. The quiet hours lease clause should spell out the consequences if the tenant violates the quiet hours policy. For example, if a tenant violates the quiet hours policy on three separate occasions, the tenant may have to pay a fine, or the landlord can file for an eviction. "Quiet Enjoyment. The tenant may live in and use the apartment without interference subject to this lease. The tenant may not disturb the quiet enjoyment of any other tenant in the building or surrounding neighbors. The tenant is responsible for adhering to the building’s quiet hours. Quiet hours are from on weekdays and from on weekends. If the tenant violates the quiet hours policy on three separate documented occasions, the tenant is in violation of the lease agreement. The landlord reserves the right to charge the tenant a penalty of $ and/or evict the tenant, the decision of which is the sole right of the landlord."